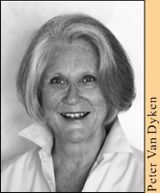 Nancy Van Dyken is a Licensed Psychologist and Licensed Independent Clinical Social Worker in Minneapolis. She specializes in counseling individuals with depression and anxiety, as well as working with couples, parents, and teens. For over 30 years, Nancy has helped people to heal relationships of all kinds —including their relationships with themselves. Nancy is the author of Everday Narcissism: Yours Mine and Ours and Forgive Them…Are you Kidding? Preparing Your Heart to Forgive. She is also a trainer and a speaker at workshops, seminars, and conferences, where she shares her wisdom and passion for healing relationships.